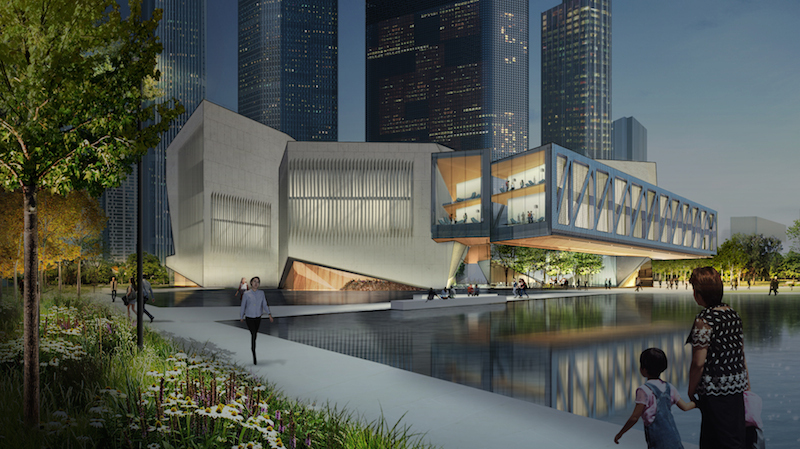 June 15, 2017, 11:10 AM · The Juilliard School took a new step today in its expansion into China by breaking ground on and releasing designs for its new campus in Tianjin. Announced in 2015 and scheduled to open in 2019, The Tianjin Juilliard School will be Juilliard's first overseas campus. Tianjin is the fourth largest-populated city in China, located about 70 miles southeast of Beijing. In March, Alexander Brose, formerly the vice president for development at the Aspen Music Festival and School, was appointed executive director and C.E.O. of Juilliard Tianjin and violinist Wei He was selected as the school's first artistic director and dean. "For more than a century, Juilliard has provided the highest caliber of performing arts education to talented young musicians, actors, and dancers," said Joseph W. Polisi, president of Juilliard and chairman of The Tianjin Juilliard School's board of directors. "We look forward to continuing this tradition of excellence in Tianjin while deepening ties between China and the United States through artistic collaboration." The Tianjin Juilliard School will grant master's degrees in orchestral performance, chamber music performance, and collaborative piano, making it the only performing arts institution in China to offer a U.S.-accredited master's degree. It will also offer pre-college and instrumental training programs, adult education courses, and public performances and exhibits. The school has been designed by New York-based architectural firm Diller Scofidio + Renfro, which completed Juilliard's New York campus renovation in 2009. The school will be set within a greenway located in the Yujiapu Pilot Free Trade Zone and will include a concert hall, recital hall, black box theatre and music library as well as teaching studios, practice rooms and classrooms. 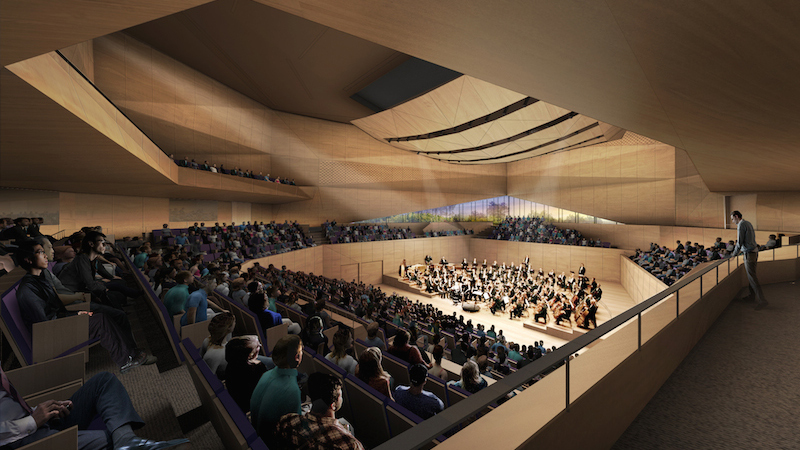 Click here for more design images for The Tianjin Juilliard School. Founded in 1905, The Juilliard School is located at Lincoln Center in New York City. The school offers undergraduate and graduate degrees in dance, drama (acting and playwriting), and music (classical, jazz, historical performance, and vocal arts). More than 800 students from 44 states and 42 countries and regions are currently enrolled at Juilliard. June 17, 2017 at 03:38 AM · Juilliard is no longer hiding what they have been for a number of years now; a business.